Here is my take on this months sketch. 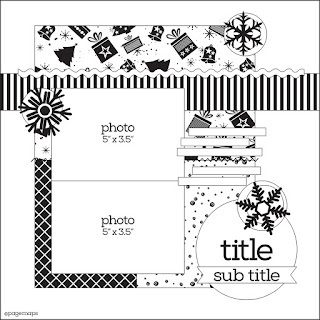 I have created a vintage style layout. I have distressed & then inked the edges of my patterned papers with tea dye distress ink. 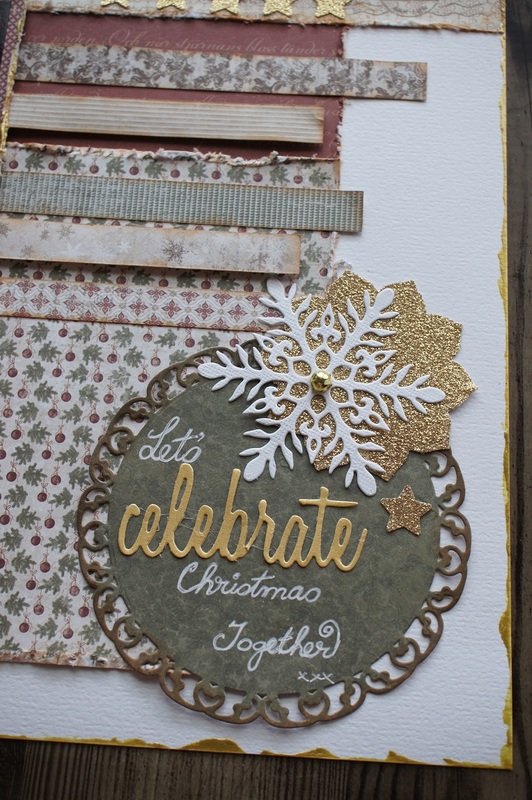 Layers of vintage Christmas patterned paper & gold sparkle cardstock in die cut & punched out shapes adorn my page. 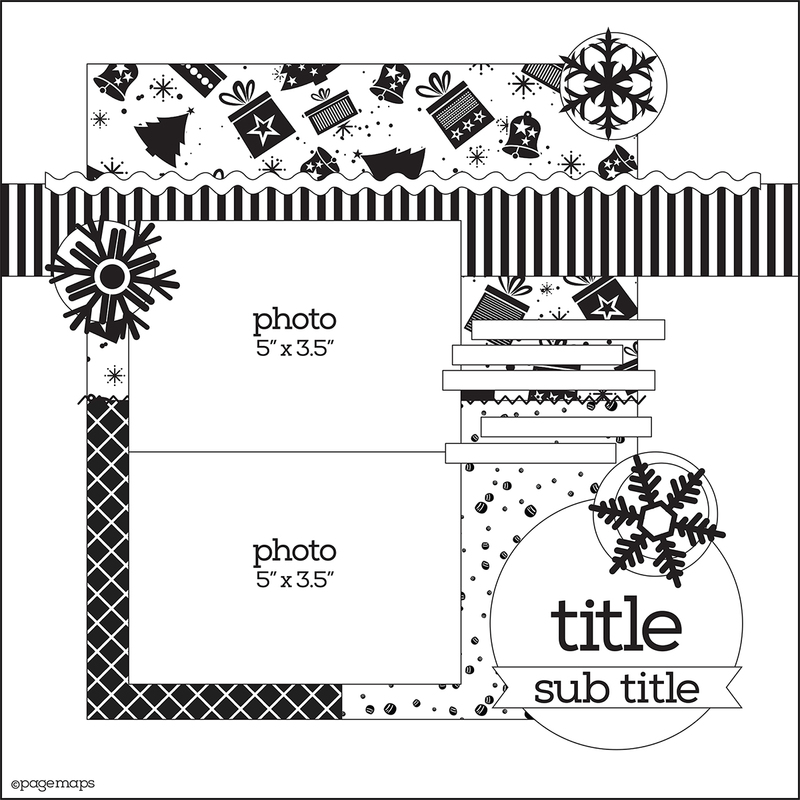 The snow flakes are die cut in white cardstock. Gold liquid pearls was added to the outer edge of the main sheet. Each Christmas we celebrate Christmas together as a family, opening gifts, then cooking a hot meal to share. This is so beautiful. 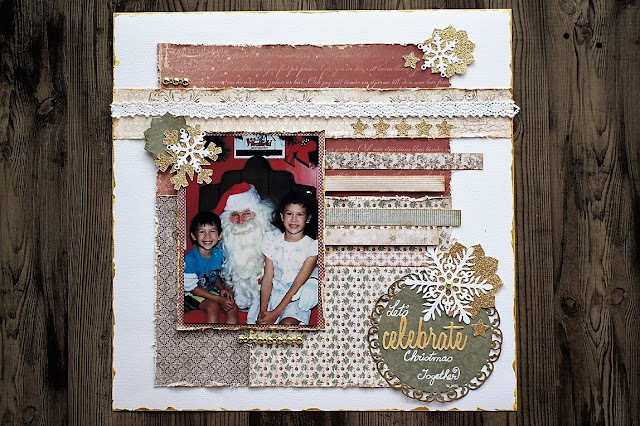 I love your interpretation of the sketch and love the photo too.. thanks for joining in with the 123 challenge blog this month.. and have a very merry Christmas! What a lovely page - well done you! Many thanks for joining in with us at 123 Challenge Blog. What a pretty page. I really like the gold additions. 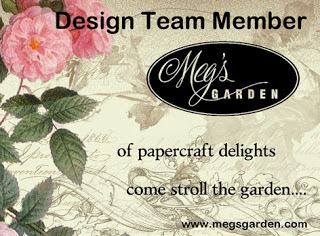 Wow I love your page and what a fantastic photo. 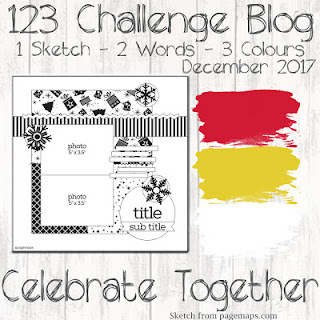 Thanks for joining in with us at 123 Challenge Blog.